Weldmesh is one of the most versatile of industrial wire products and has innumerable applications throughout all types of industry. It is generally manufactured in mild, galvanized and stainless steel in different width, size, and gauge. Weldmesh is one the product that is widely specified for a multitude of uses throughout the industry, building and construction, agriculture, and horticulture. Weldmesh offers infinite possibilities for usage, including partitions and enclosures, machinery and window guards, tree guards, grilles, shelving, and racking. Additional uses include safety barriers, security cages, fireguards and fan guards, fencing and gates, stairways, balconies, and catwalks. For agricultural and horticultural applications, uses include poultry pens and flooring, animal pens, cages, and aviaries. Weldmesh is also used for crates for packing and materials handling, pallets and cable trays, garden protection, display work, litter bins, clothes and storage lockers. 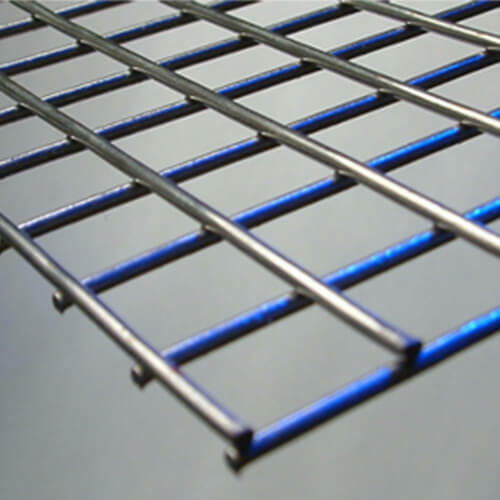 Welded mesh guards are manufactured using Weldmesh to protect windows, fans, and ventilators. Safety is a major concern wherever moving machinery is involved. Weldmesh machine guards satisfy the OSHA specifications and allow good visibility to the operator while acting as a safe, protective shield. Safety barriers to segregate pedestrians from traffic are another important safety feature dealt with by Weldmesh. Weldmeshes are applicable at stairways, balconies, catwalks, and barriers on elevated walkways. Weldmesh offers simple, economical and secure storage applications such as consumable stores, finished product dispatch areas, lockers and changing rooms. Weldmesh offers the ultimate "No Entry" barrier for gate cladding, outside storage areas, window guards or perimeter fencing. Weldmesh provides lightweight reinforcement for floor screens, particularly when screeds are laid on top of polystyrene or mineral, glass wool quilt sound insulation or in beds containing electric warming cables. It is also recommended for the reinforcement of rendering when the render is to receive tiled, mosaic or terrazzo finishes. A major area for concern when refurbishing is the restoration of cracked plaster, render, damaged stone or brickwork. On many occasions, it is impossible to remove existing material to form a key without structural damage. The application of a layer of Weldmesh over the existing surface to provide a mortar reinforcement prior to the final surface coat can often be the answer. Weldmesh is ideal for bridge parapet guards on interstates and freeways. It provides a secure barrier in addition to being compatible with other materials used in bridge construction. Weldmesh is also used for girder lagging prior to concrete or plastic finishing, suspended ceilings, shelving systems, window protection, and even earth stabilization. Guarding and protecting are two areas where the mesh is invaluable: safety guards on scaffolding, especially on multi-story blocks; and compounds for the storage of material on-site to provide protection from vandalism.